Four years later, he chose to run against the incumbent majority whip, Senator Edward M. Kennedy, Democrat of Massachusetts. 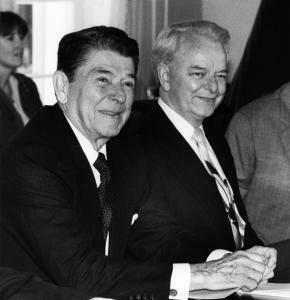 In a shocking upset, the workhorse beat the showhorse, and Senator Byrd was positioned to move up to the number one position, which he did in 1977 when Senator Mike Mansfield, Democrat of Montana, gave up the majority leader position. 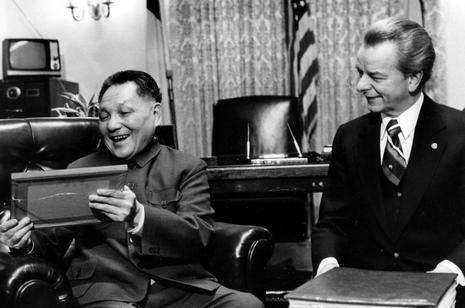 After years as Democrats' frequent floor leader, Byrd replaced Sen. Mike Mansfield of Montana as majority leader in 1977, serving until 1981, when Democrats lost control of the chamber. 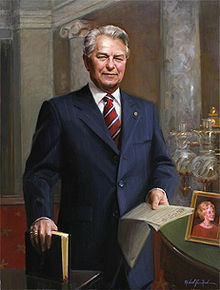 He was the Democratic leader with the chamber under Republican control until 1987, when he became majority leader again until 1989. He was replaced by Sen. George Mitchell, D-Maine after stepping down to become Appropriations Chairman.